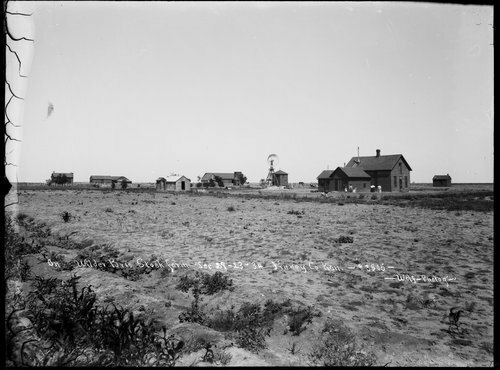 This photograph shows a view of the Wilder Brother's stock farm in Finney County, Kansas. The photo shows a residence, many outbuildings, and a windmill. Several women and children are standing outside of the residence.